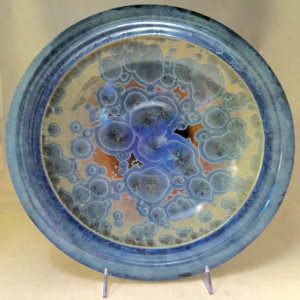 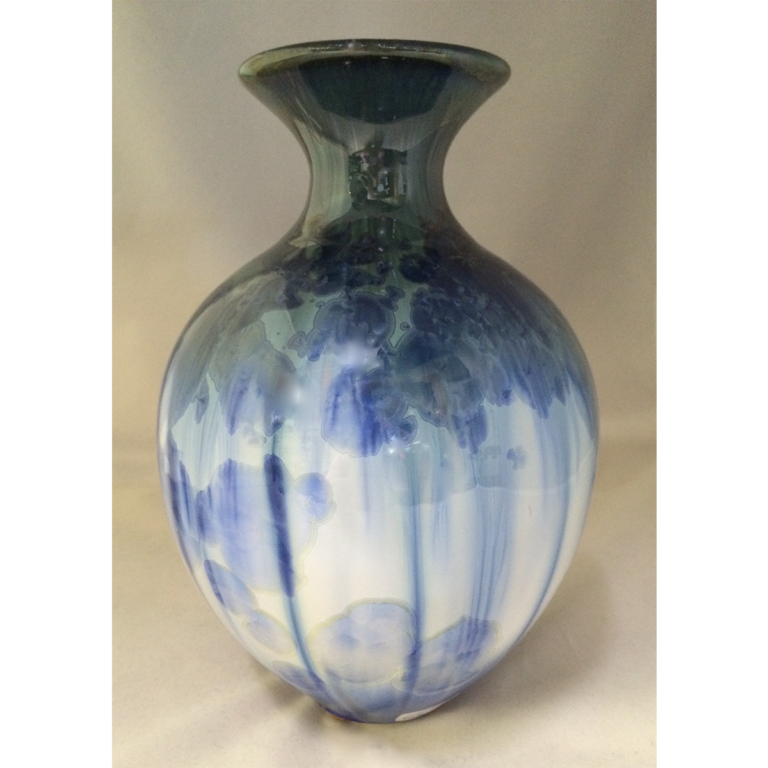 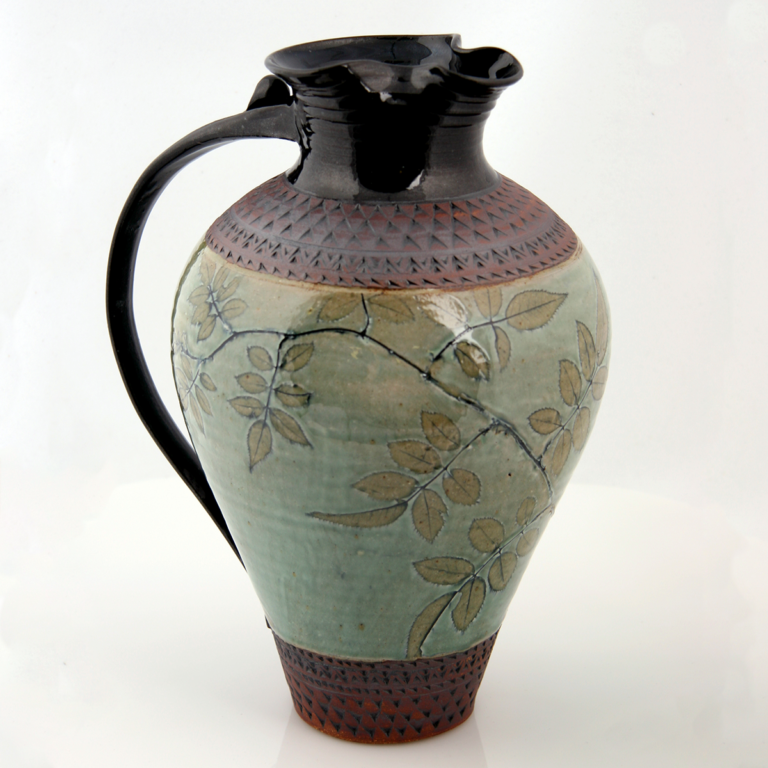 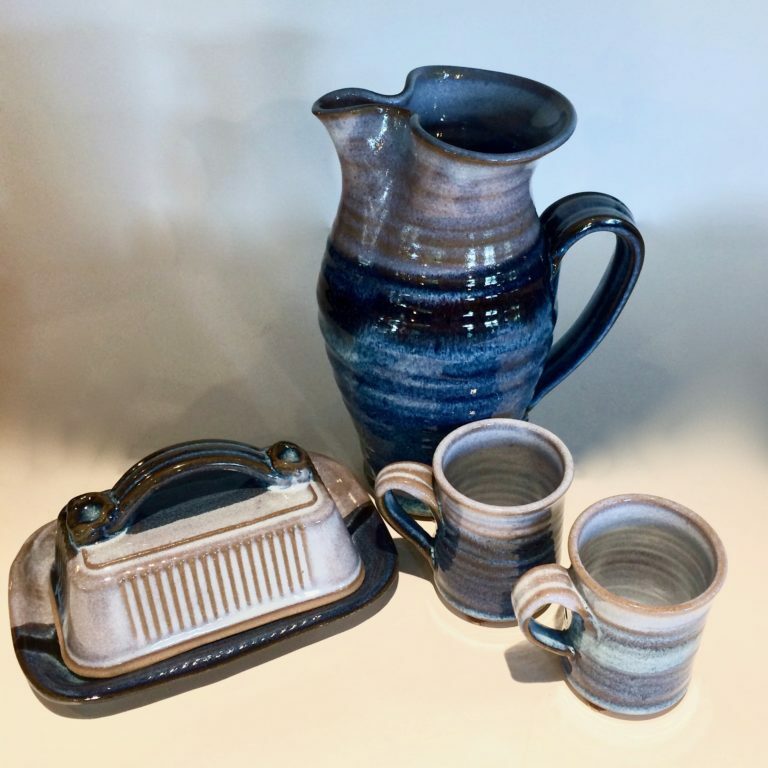 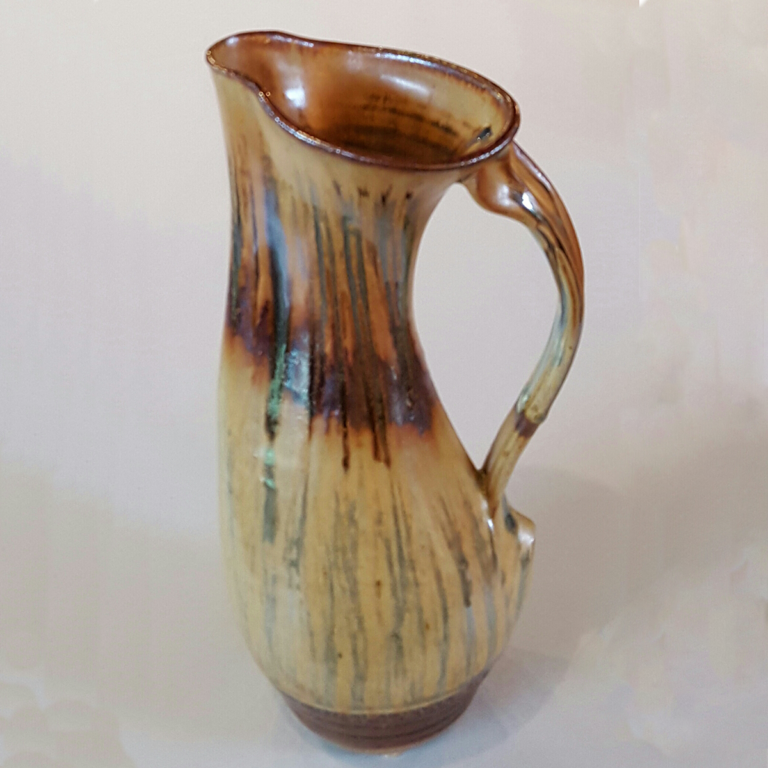 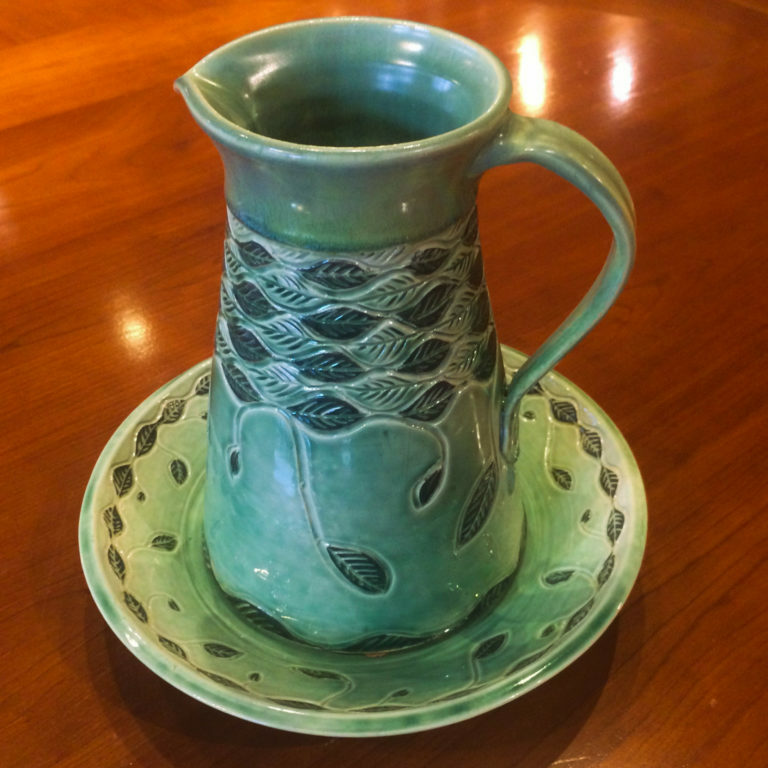 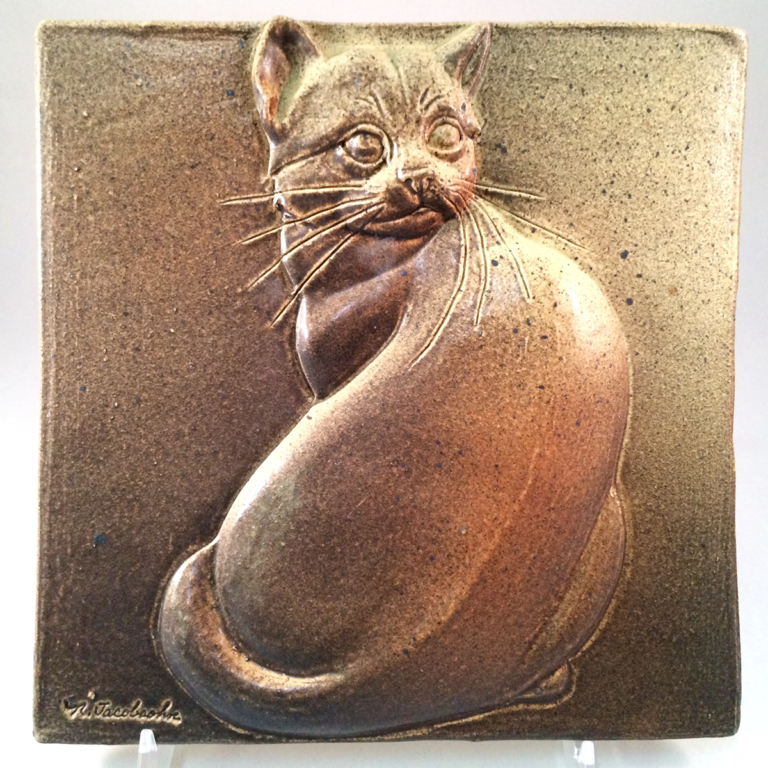 Bill Campell started making crystalline glazes about 15 years ago, collaborating with retired potter and friend, Kent Follette, to create this unique type of glaze. 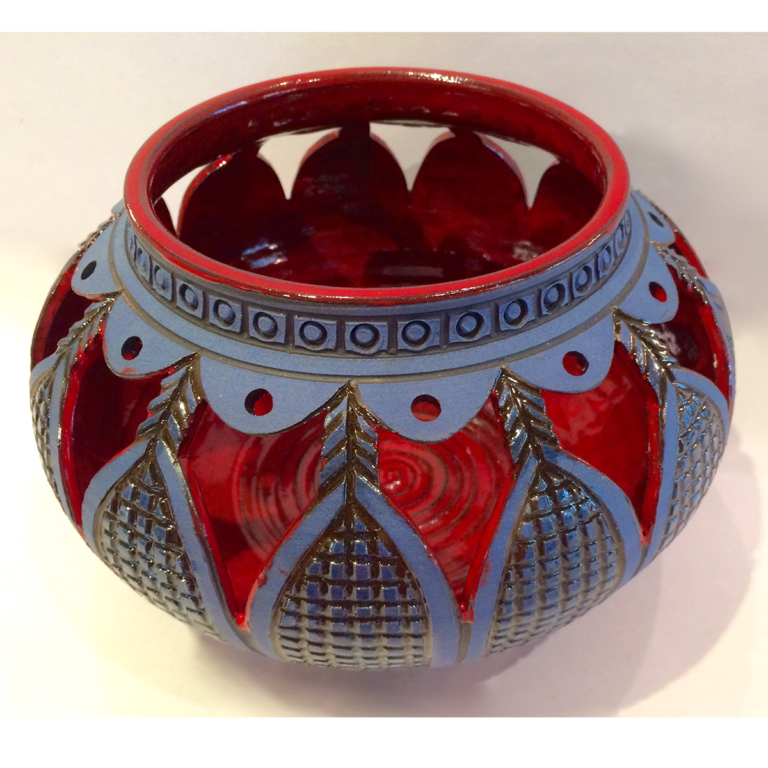 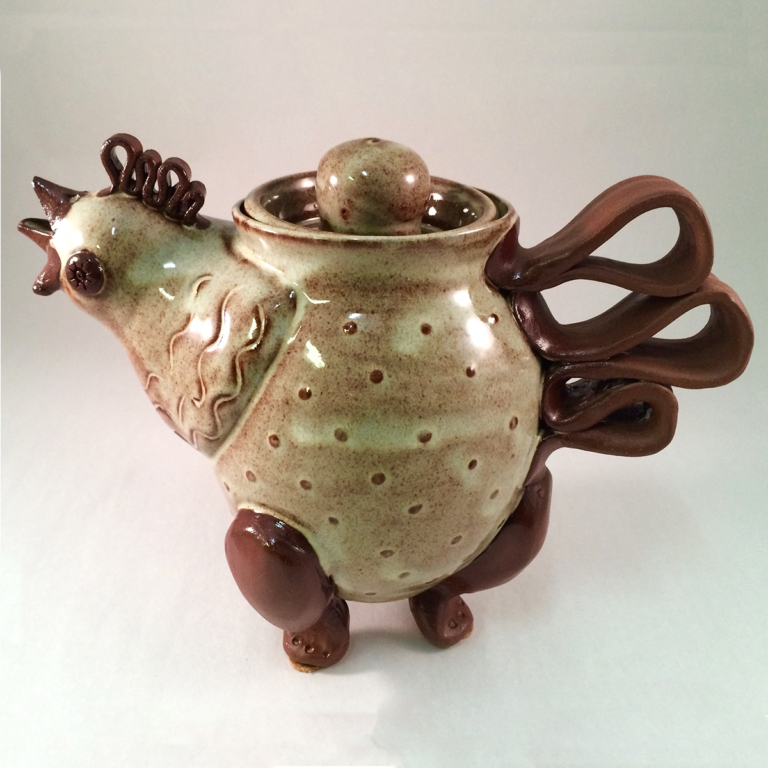 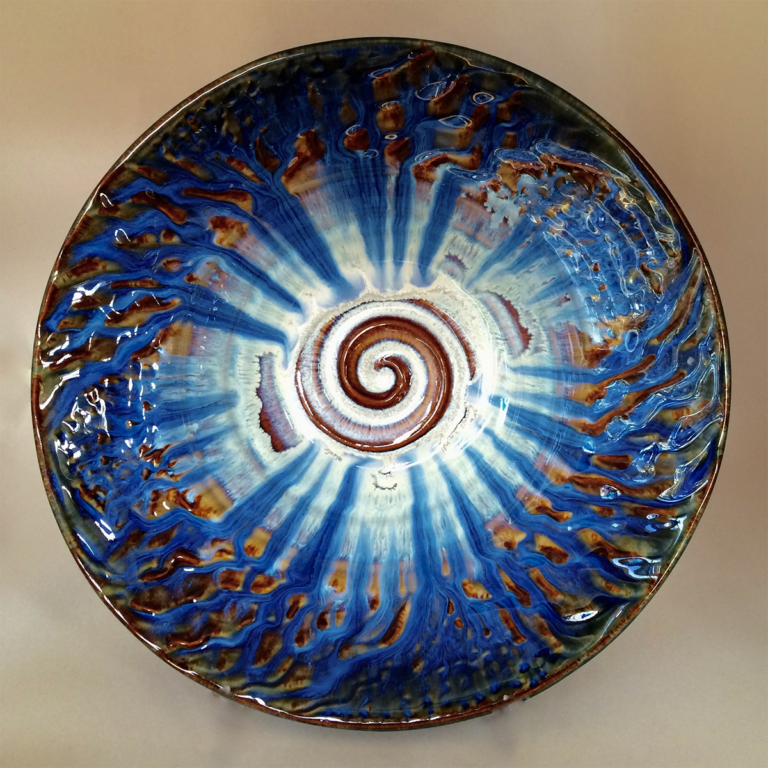 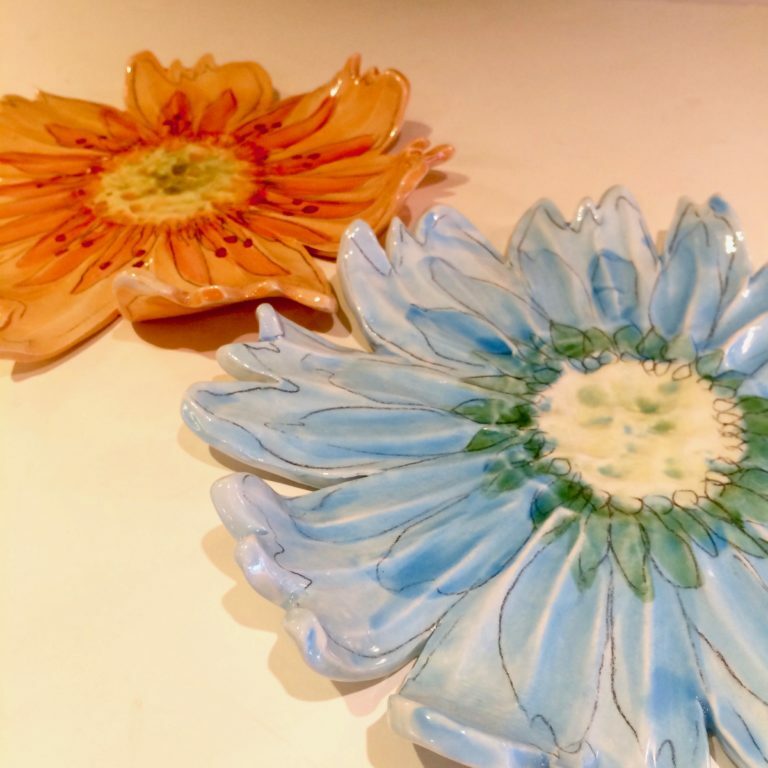 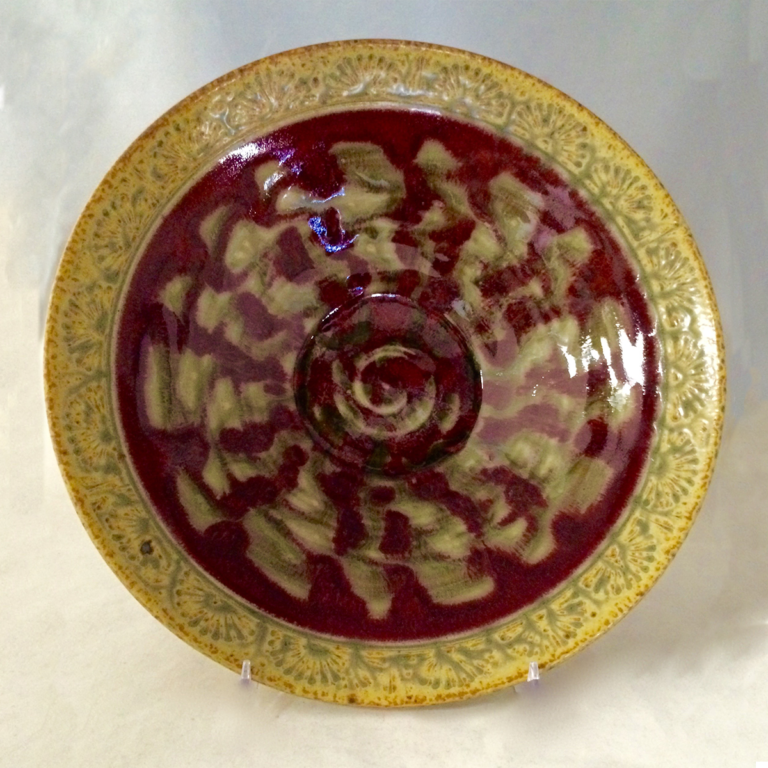 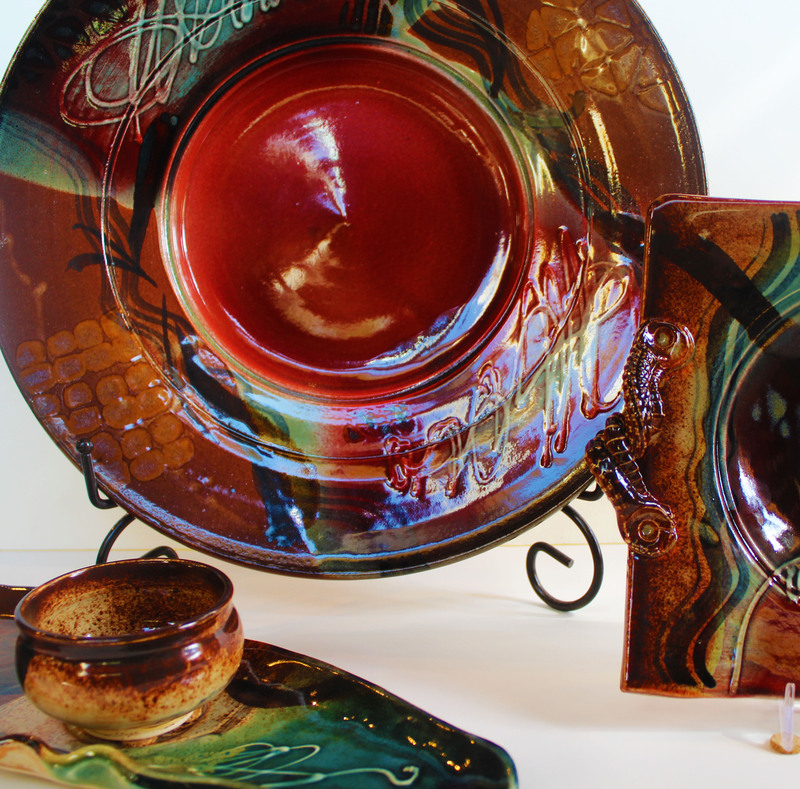 It is now his favorite glaze because of the freedom to experiment more in color and crystals. 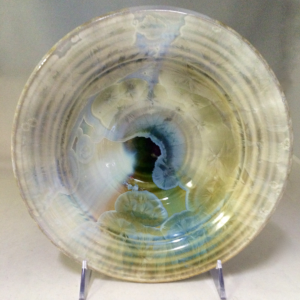 The computer-controlled firing cycle creates perfect conditions for crystals to form. 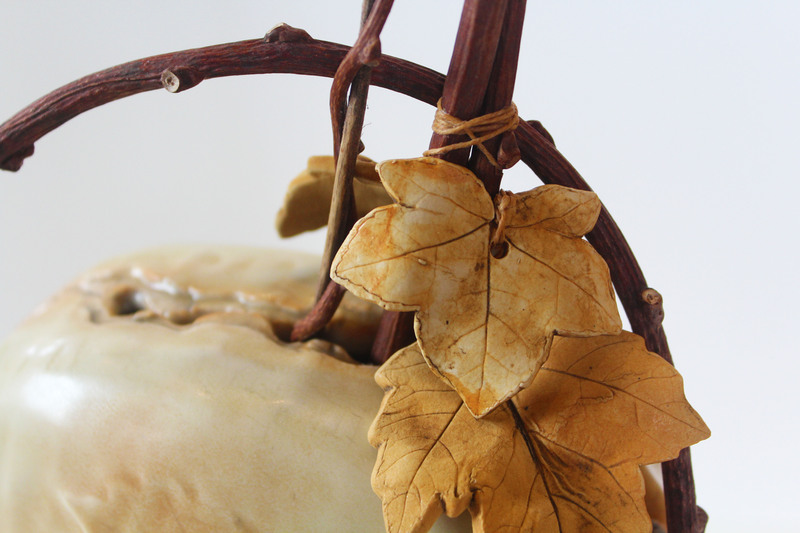 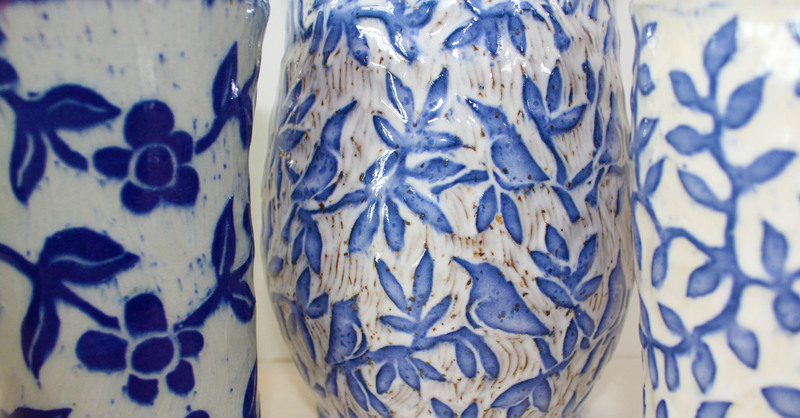 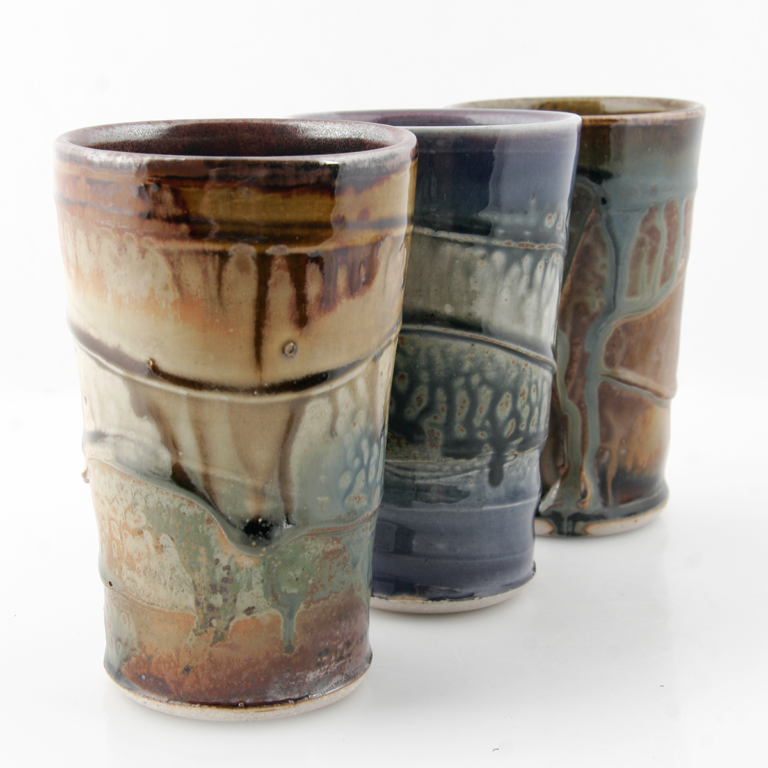 As the clay and glaze bond in the kiln during heating and cooling, the crystals develop. 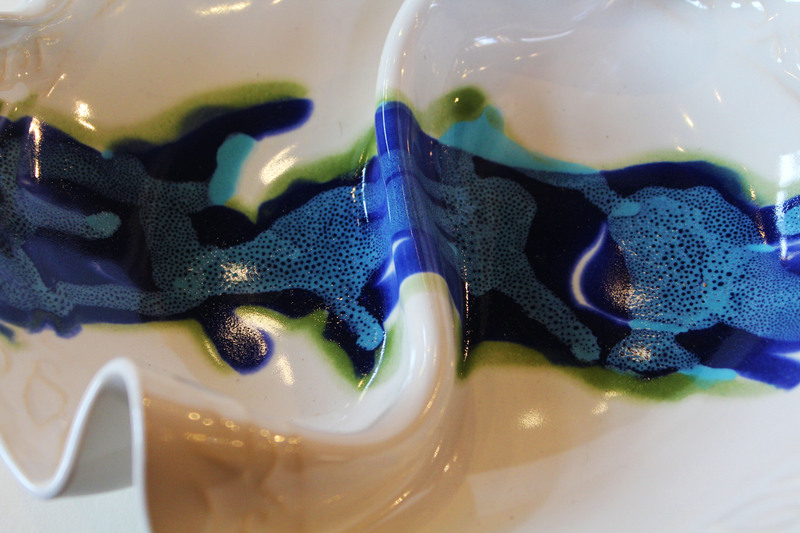 Sometimes there are tiny all-over crystals, some times big single floating ones. 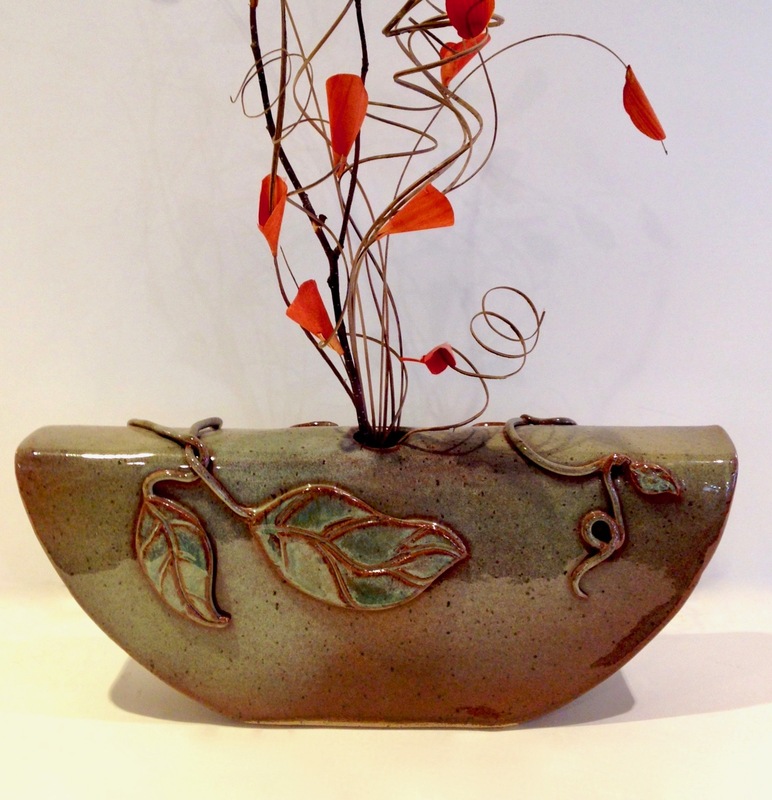 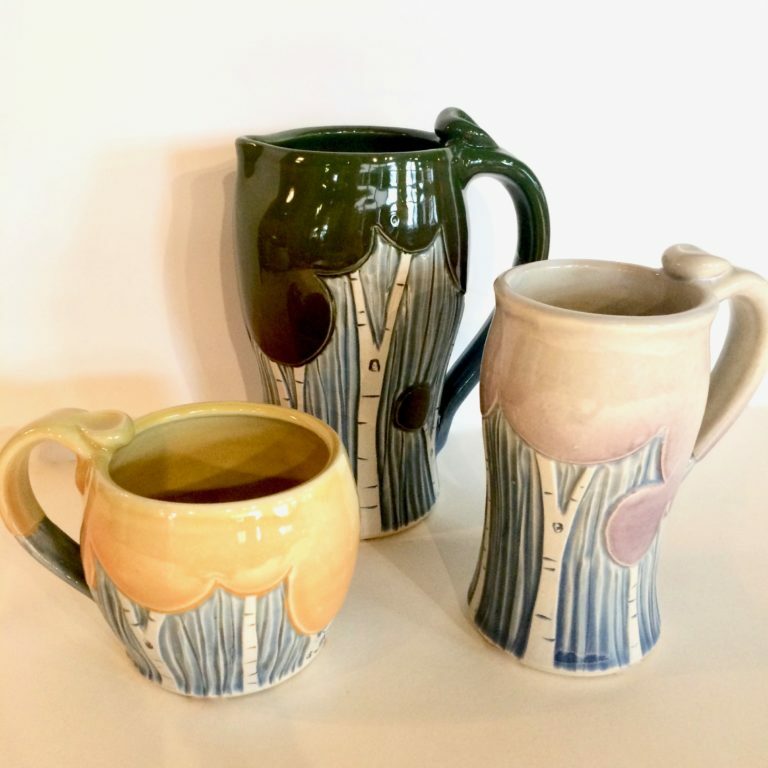 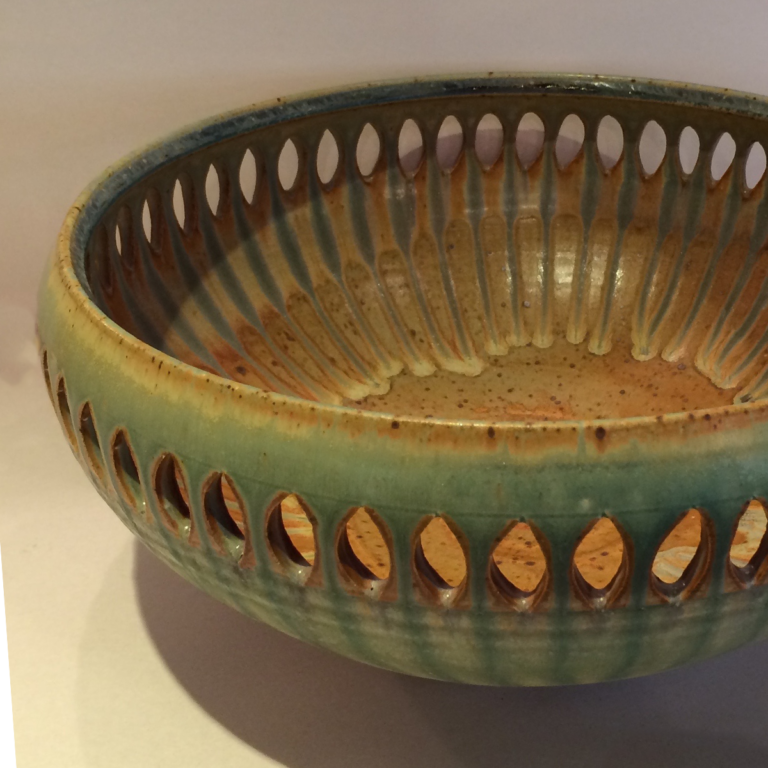 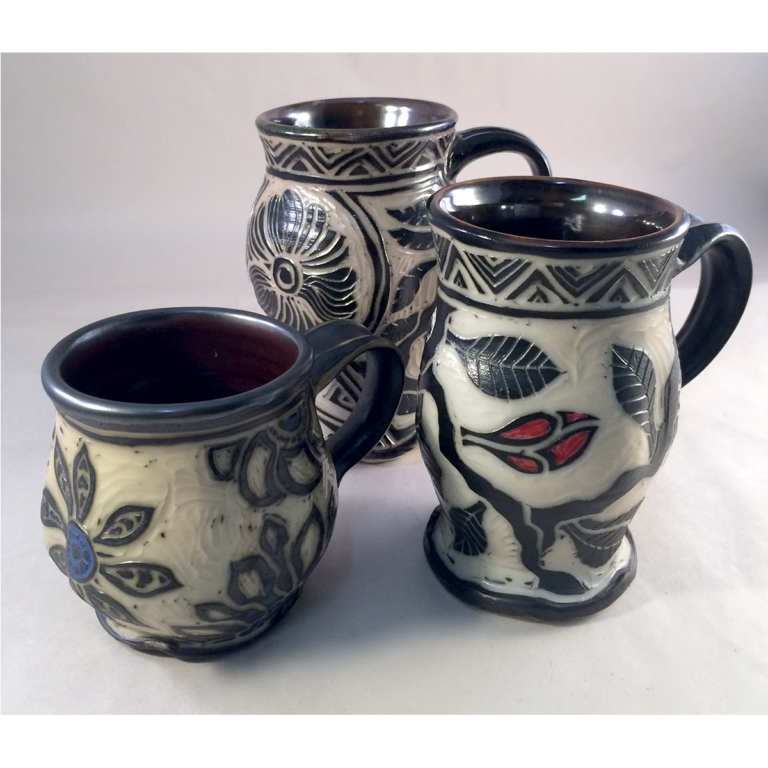 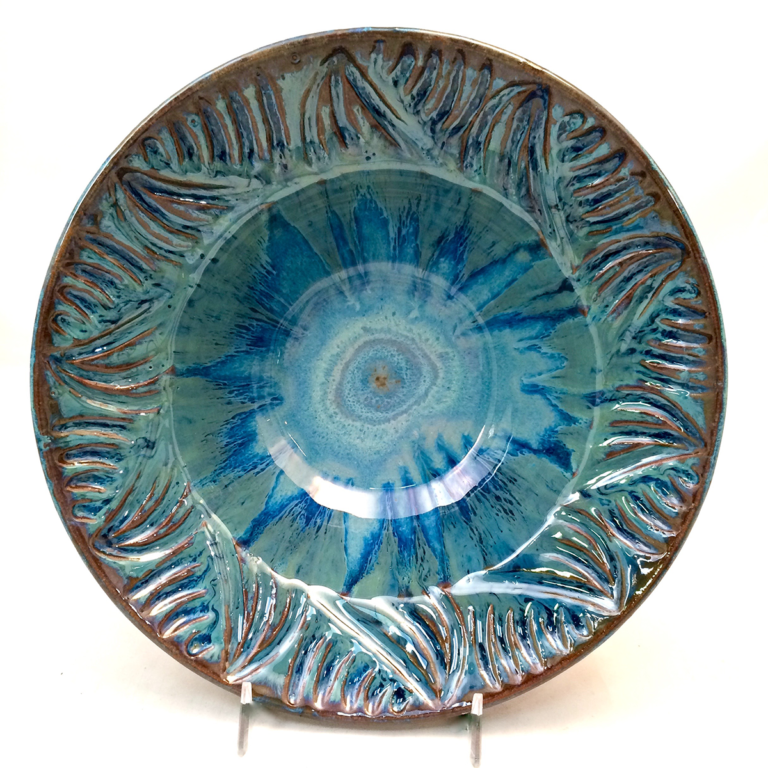 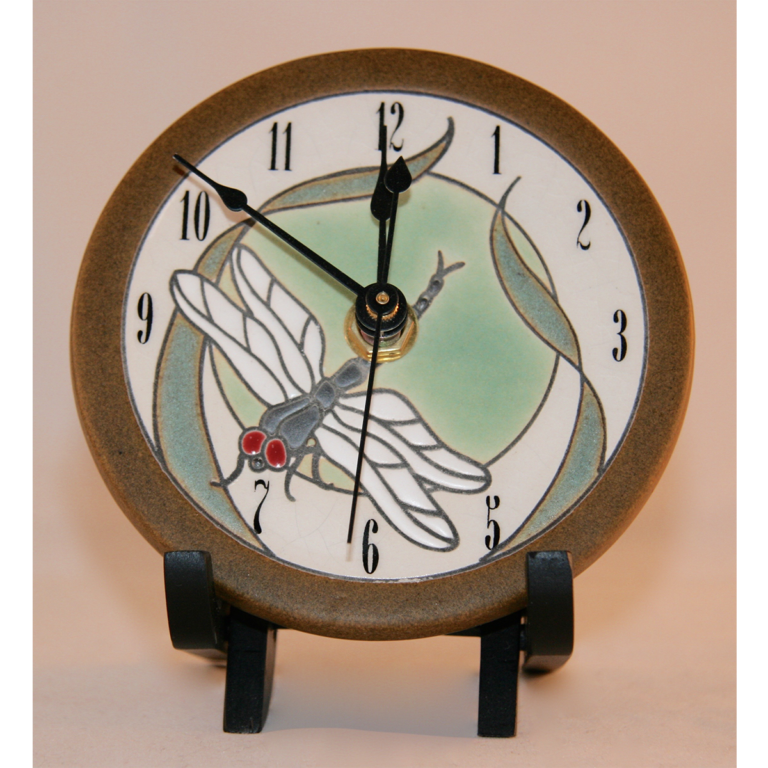 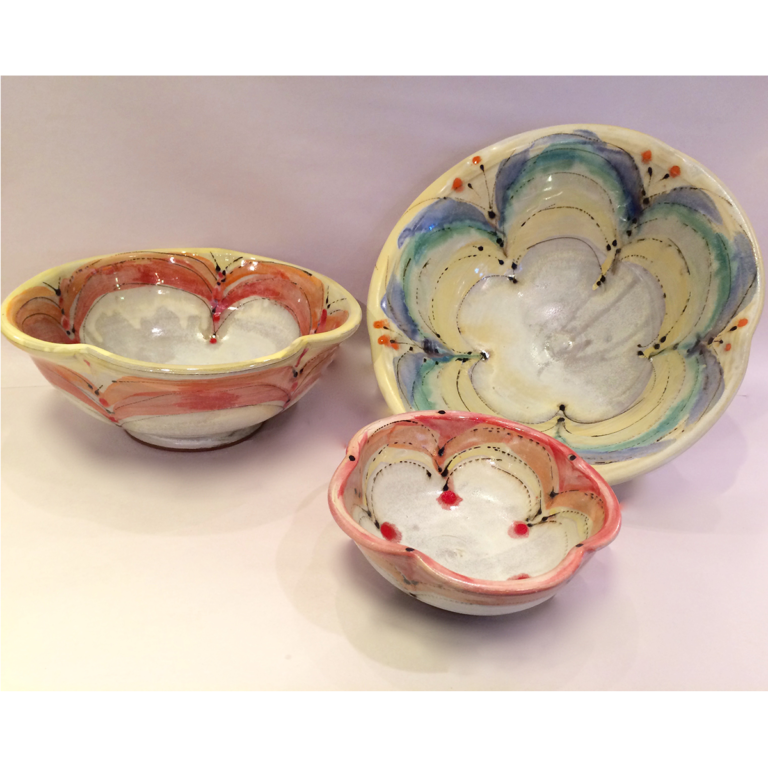 Bill makes all his crystal glazes from scratch and tests his glazes for different combinations. 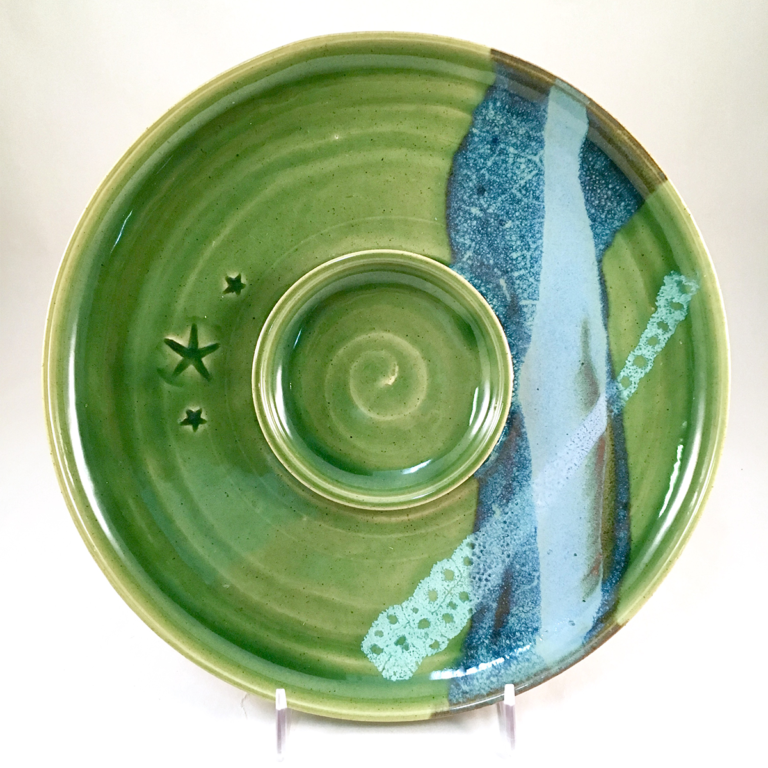 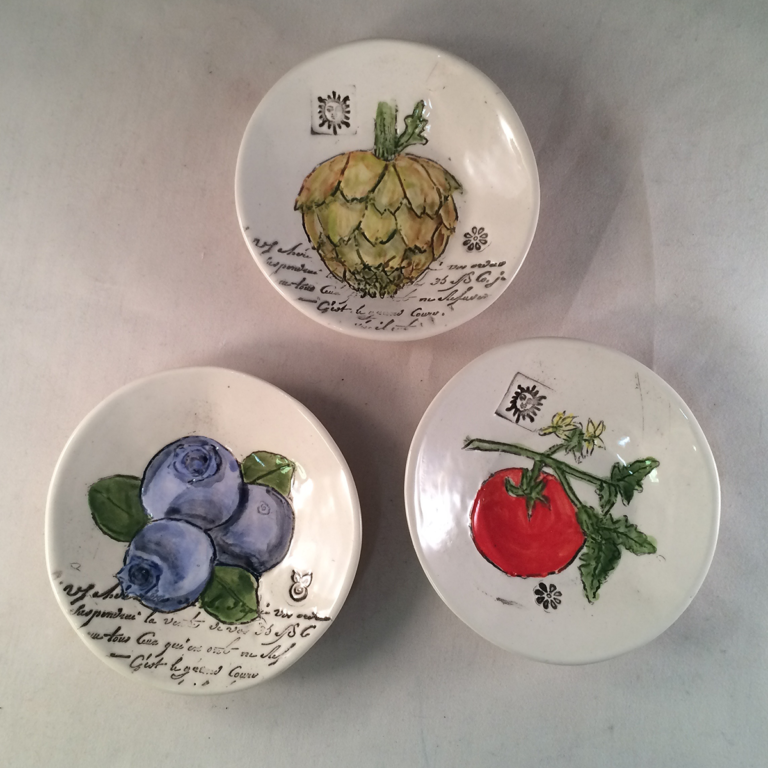 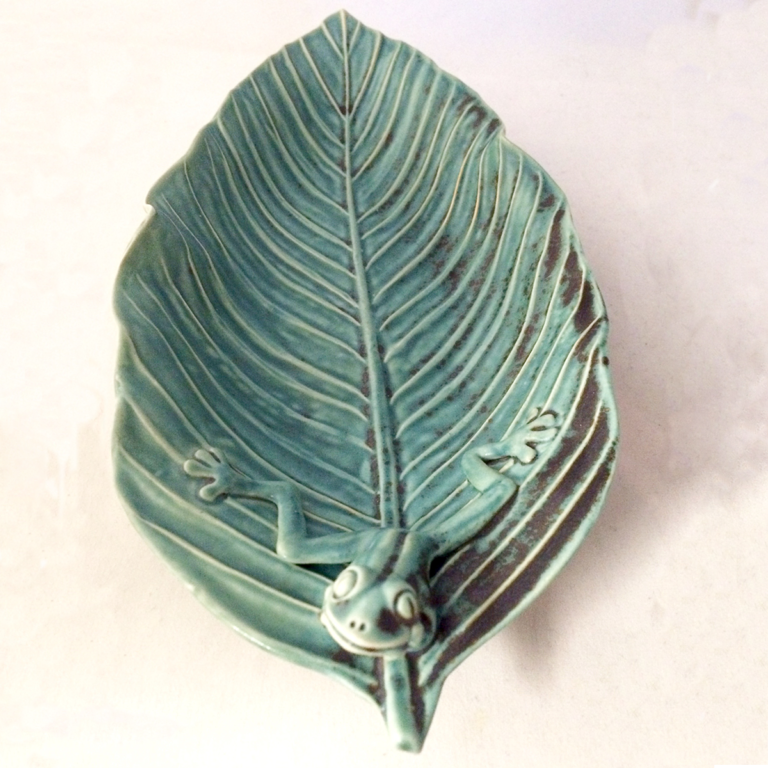 His tableware is made in white with green and blue accents, and all other pieces come in a wide range of colors.